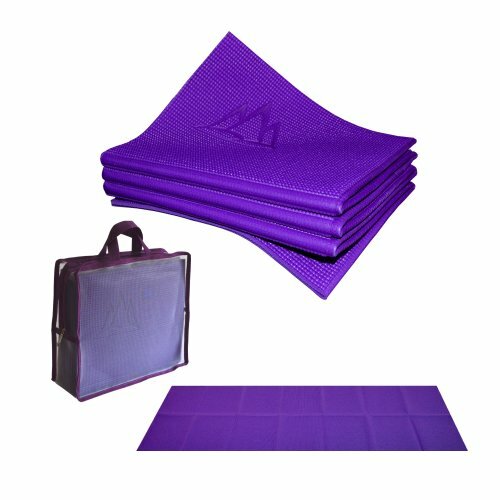 As featured in REAL SIMPLE, SPA magazines and more; As seen on TV (TODAY SHOW); Patented YoFoMat® is the one and only foldable yoga mat for professional yoga and Pilates practice anywhere. >> Compact and Easy to Carry/Store: YoFoMat is sized similar to a large book after folding (12"x10"x3"). It is easy to be carried around in our customized bags or in your handbags, backpacks, travel cases etc. Plus, it is easy to store by simply stacking them up. >> Extra Long and Thick: Measures at 72" (183cm) long, 24" (61cm) wide, 1/6" (4mm) thick to provide support for all sizes. 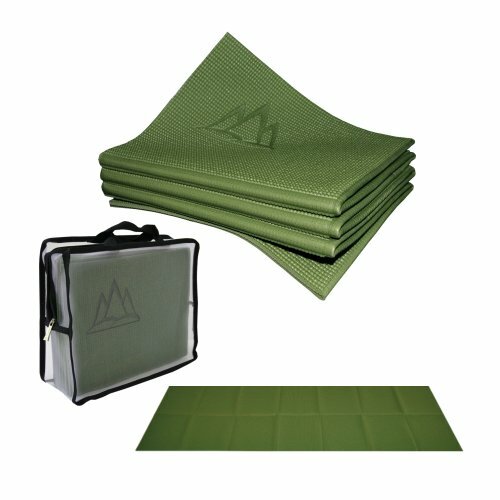 >>Versatile: Exclusively designed, YoFoMat can be converted into a meditation mat or sitting mat. >>Easy Body Alignment: Touch-felt folding lines are designed as coordinates to easily assist proper body alignment. >>High Performance: High density, non-skid on both sides, provides stability on any floor surface (soft/carpet, hard/wood), improves with use. 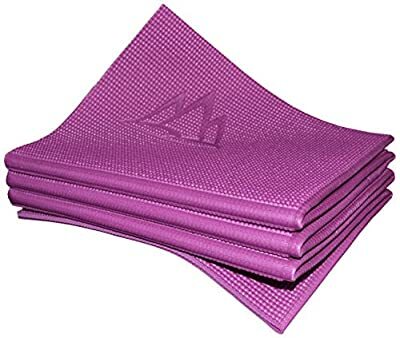 >>Hygienic and Easy to Clean: Unlike rolled-up yoga mat, the folding lines on YoFoMat are designed so that the side facing the floor would not touch the side facing the body, thus ensuring easy cleaning and providing sanitary support to yoga practice. >>Only non-allergenic, non-toxic materials and production process used; safe for adults and children; meets or exceeds standards set in EU Directive 2005/84/EC; Latex free; SGS tested to be free of phthalates (16P FREE!) >>Care Instruction: Clean with a damp cloth with water or mild detergent/household cleaner. Allow to air dry. Do not put in washing machine or dryer. Wash before first use. >>> NEW! Exclusively Designed Eco Travel Case Included: Ergonomic design for easy carrying; breathable fabric to allow air flow; durable and lightweight; machine washable/dryable. >> Bonus Yoga Pose Chart Included: 15 energizing yoga poses illustrated.